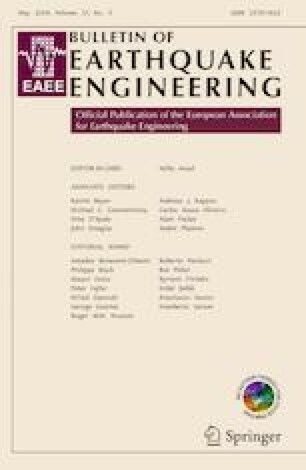 The paper presents the results of 5 case studies on complex site effects selected within the project for the level 3 seismic microzonation of several municipalities of Central Italy damaged by the 2016 seismic sequence. The case studies are characterized by different geological and morphological configurations: Monte San Martino is located along a hill slope, Montedinove and Arquata del Tronto villages are located at ridge top whereas Capitignano and Norcia lie in correspondence of sediment-filled valleys. Peculiarities of the sites are constituted by the presence of weathered/jointed rock mass, fault zone, shear wave velocity inversion, complex surface and buried morphologies. These factors make the definition of the subsoil model and the evaluation of the local response particularly complex and difficult to ascertain. For each site, after the discussion of the subsoil model, the results of site response numerical analyses are presented in terms of amplification factors and acceleration response spectra in selected points. The physical phenomena governing the site response have also been investigated at each site by comparing 1D and 2D numerical analyses. Implications are deduced for seismic microzonation studies in similar geological and morphological conditions. The Project was carried out with the funding from the National Authorities in the context of “Interventi urgenti in favore delle popolazioni colpite dagli eventi sismici del 2016” (Urgent interventions for the populations affected by the 2016 earthquakes). The Authors want to thank all the professional geologists who have collaborated on the execution of the whole project: Luca Domenico Venanti, Luciano Faralli, Nello Gasparri, Riccardo Piccioni (Norcia), Mirko Gattoni, Riccardo Maria Bistocchi, Stefano Bellaveglia (Arquata del Tronto), Alessandra Angelici (Montedinove), Stefano Cicora (Monte San Martino). Thanks also to the “Centro per la Microzonazione Sismica e le sue Applicazioni” (CentroMS, https://www.centromicrozonazionesismica.it/en/) which coordinated the seismic microzonation Project.